ZN63 (VS1) -24 series handcart type indoor vacuum circuit breaker is rated voltage 24kV, three-phase AC 50Hz Indoor high-voltage switchgear .apply for power stations, substations, and industrial and mining enterprises to control or protection transmission and distribution systems , specially for the important high altitude breaking load and frequent operation place. Circuit breaker manufacturing accordance with our national standard GB1984-2003 «AC high voltage circuit breakers)) , DL / T403-2000 «3.6 ~ 40.5kV Indoor Vacuum Circuit Breaker ordering technology)) ; and the related IEC standards And reliable interlock function. 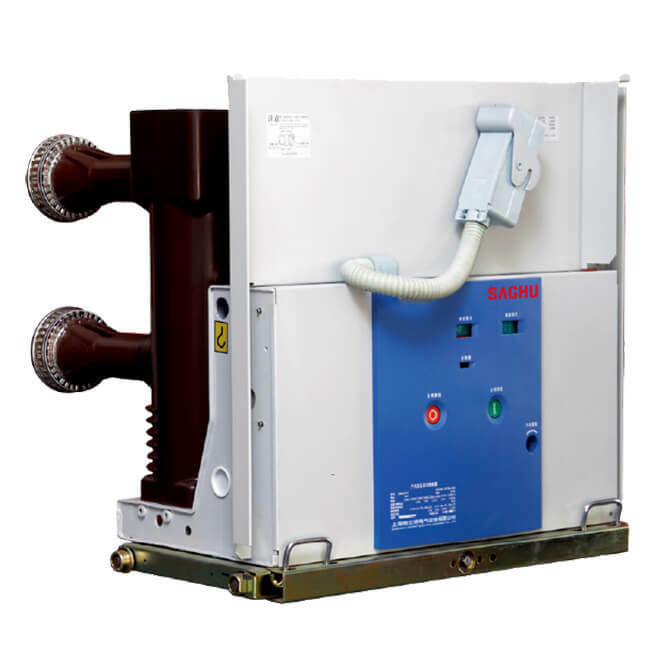 Circuit breaker designed to repackage the structure before and after, both can be used as a fixed installation unit, Can also be equipped with the chassis as used in the mounted unit.